This was taken in the Charlestown Naval Yard, where the USS Constitution--Old Ironsides--is at anchor. 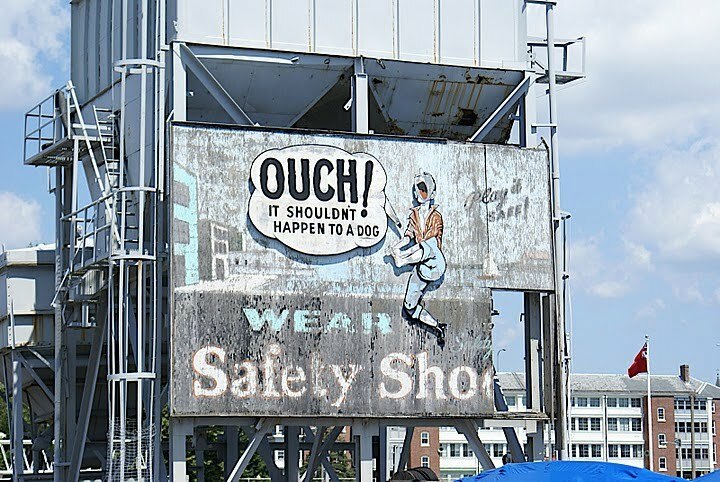 This sign is on a tower-rig on the way back from the ship and back to the Freedom Trail. It read: "Ouch! It shouldn't happen to a dog! Wear Safety Shoes!" Note that the person depicted is a person and not a dog--in fact, there's no dog at all.